Loans with great rates for just about everyone. Best Mortgage Company in Utah – 25 Years Strong! Yes! No Mortgage Insurance available for up to 95% of Refinance or Purchase. Call us now! We lend up to 95% of the value after renovation! We’ll get you a great mortgage loan no matter your score! Up to 95% of Loan with No PMI. We offer the best rates on purchase, refinance, construction, and stated income loans, reverse mortgages and home equity lines of credit. Welcome to American Loans, one of the leading mortgage companies in Salt Lake City. We promise to provide you with the most comprehensive communication and the best mortgage rates in Utah. You won’t find another mortgage company in Utah that provides this level of service. We have been in the business for over 25 years. 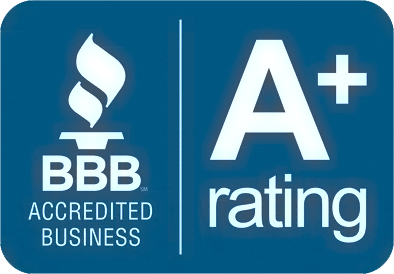 As a member of the Better Business Bureau with an A+ rating, we find the absolute best loan program for every individual situation. You won’t find better rates or lower costs anywhere else. American Loans serves the entire State of Utah, with an extensive variety in loan products. We use our extensive nationwide network of lenders to bring you the finest loan options, whether you’re purchasing a new home or refinancing your current one. From low rates to exceptional terms, we have approved loans with programs others simply do not offer. American Loans is one of Utah’s premier mortgage providers. In Business for over 25 years to give you lower rates and lower costs. "I have a very good experience with American Loans! Highly recommended!" "Thank you American Loans, I had my home refinanced! Hassle free transaction!" "Got the cash I need to renovate my house. Thank you so much!" "I wanted to take a minute and thank you for your help with refinancing my home. There is such relief in knowing that I am out of that variable rate loan. You both made the process flow well and helped me become more educated about mortgage loans. Thank you again and I have recommended you to a co-worker."